Celebrations on Diwali festival continues for five days involving various rituals and activities. Get more details on five days of diwali festival. Five Days of Diwali - Diwali, the festival that spreads its luminosity across the length and breadth of the country is celebrated with crackling intensity. However, each of the five days of Diwali has its unique significance, drawing from different legends and traditions of the Vedic era. The first day of this five day Hindu festival starts with 'Dhanteras' or 'Dhantryaodashi' sets the mood for Diwali celebrations. The day pays homage to Lord Dhanwantari who is associated with Ayurveda and various healing practices for the good of mankind. On this day, there is a tradition of taking a holy bath at sunset, lighting a diya lamp around 'Tulsi' plant and praying to Lord Yama for their well-being. On this day, people participate in 'havan' and also chant powerful mantras. Hindus observe the second day as 'Narak Chaturdashi'. The significance of this day is grounded in the story of Lord Krishna's overwhelming triumph over a ferocious demon named 'Narakasur', who kidnapped the 'gopis'. On this day, people keep their houses clean and use fragrant oils and flowers to keep vibrations uplifted. Artistic patterns of 'rangolis' made from a mixture of rice flour and water can be seen ubiquitously at the threshold of each house. A 'diya' is placed in each room as well as in the backyard through the night. Perhaps the most festive of the five days of Diwali festival is Diwali. The celebration of Diwali is based on the episode when Lord Rama finally returned home from exile and was welcomed with a glittering row of lights radiating from every household. It also coincides with the Pandavas' return from the forest. The word 'Deepavali' means an array of lights. Diwali, is, indisputably, among the most enlivening and significant festivals of India. Well-illuminated houses, parks and public places make up the landscape on Diwali night, while colorful fireworks dot the sky. In the market place, people are spoilt for choices in their new purchases. Households are abuzz with hectic activity around the preparation for Lakshmi puja to honor the Goddess of wealth. A pandit performs the puja ceremoniously while family members participate in the rituals and offerings. Distribution of sweets and 'prasad' follows. Businessmen also perform 'Chopda Pujan' on this day by inaugurating their new books of accounts for the ensuing year. Starting out on a good business proposition or venture is seen as auspicious on this day. In West Bengal, the night is dedicated to the worship of Goddess Kali. On the fourth day of this five day Hindu festival, Govardhan Puja is performed. The legend goes that Lord Indra was provoked and tried to submerge the town of Gokul. Lord Krishna saved the people of Gokul from the wrath of Lord Indra by lifting the Govardhan Mountain to provide succor. A blessing was bestowed on the Govardhan Mountain that it will be honored through the ages. The tradition has been followed ever since. Mathura and Nathadwara also witnesses huge gathering of crowds in temples, where deities are bathed ritualistically and adorned with ornaments. This day is also observed as 'Padwa' as Vikram-Samvat was started from this day. Most households mark this day by wearing new clothes and jewellery, greeting family members and also distributing sweets and gifts among friends and neighbors. 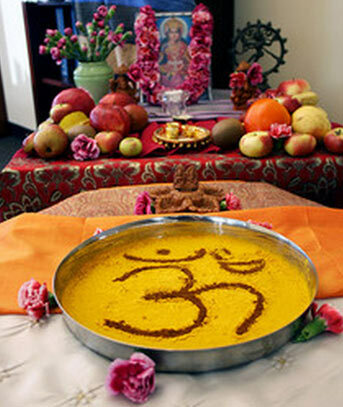 The second day after Diwali is 'Bhai Dooj', marking the end of this five day Hindu festival. It is unique in nature as it is solely dedicated to the strong bond of love between a brother and a sister. The festival is associated with the legendary tale of brotherly love between Lord Yama and his sister Yami. After several decades of separation, Lord Yama decided to visit his sister. When he went to meet her, he was touched by the warmth and hospitality she showed. Yami welcomed her brother with full fanfare and respect and put a tilak on his forehead to mark the occasion. Yamraj blessed her and announced that henceforth a brother who will greet his sister on this day will have a long life. On Bhai Dooj, a 'teeka' of rice and vermilion is applied on the brother's forehead, followed by 'arti' and partaking of sweets. Usually a meal comprising special dishes and sweet delicacies follows. The brother promises to protect his sister from untoward situations while the sister prays for her brother's longevity. This day is eagerly awaited by all sisters and brothers, given their enduring nature of relationship. Thus, the five days of Diwali festival are accompanied by high-pitched fervor and religiosity. Thus, all five days of Diwali enriches human bonds as people rise over distinctions of caste and creed to embrace the divine light of oneness. This year, the five day Hindu festival will commence from October 25, 2019.